Something's different about Mumford and Sons. They didn't shave their beards or abandon their trademark McKinley-era suspenders, but the band has decided to drop a vital component. 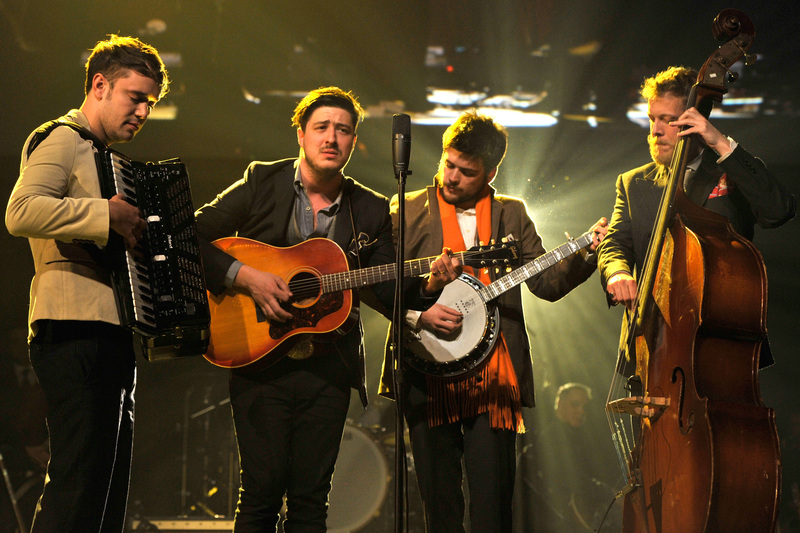 Mumford and Sons's new song "The Wolf" off their upcoming Wilder Mind album is a heartfelt goodbye to the banjo. According to Huffington Post, Mumford and Sons' new music is "heavy on guitar" but completely banjo-free, marking a departure from their typical sound, which up until now could only be described as "dudes in beards with a banjo." Now, the band seems to be taking their music in a completely different direction — and Mumford and Son's "The Wolf" indicates that in lyrics and sound. The missing banjo might be a welcome change for the band, but the lyrics of "The Wolf" give a substantial reason to believe that losing the banjo might have been a difficult choice for Mumford and Sons — especially since it's been central to their Appalachian mountain man aesthetic since they first became famous. Change can be hard, and though this is purely speculative, the lyrics of "The Wolf" might help explain the band's decision to part ways with the banjo. "The Wolf" is a love song to the banjo that just wasn't meant to be. "You've been wandering for days/ How you felt me slip your mind"
The special bond between a guy and a banjo. Or a bunch of guys and a banjo. Are they all fighting over the one banjo and the banjo isn't having it? It that what this is about? "I want to learn to love and kind/ Cause you were all I ever longed for"
They really tried to make things work with the banjo. They had a good thing going for a while. "Oh my gaze, love you know I want to let it go"
Mumford and Sons loves the banjo, they're just not in love with the banjo. "We will stand out at the wonder of it all/ And I will hold you in"
They'll always cherish the good times, though. "I promised you everything would be fine"
Mumford and Sons and the banjo will still be friends. Check out the song out below.